NOTE: Who would have thought that dunkers would be so hard to find, and so hard to keep supplies sufficient? It seems every time we order another batch, one more style has become unavailable. 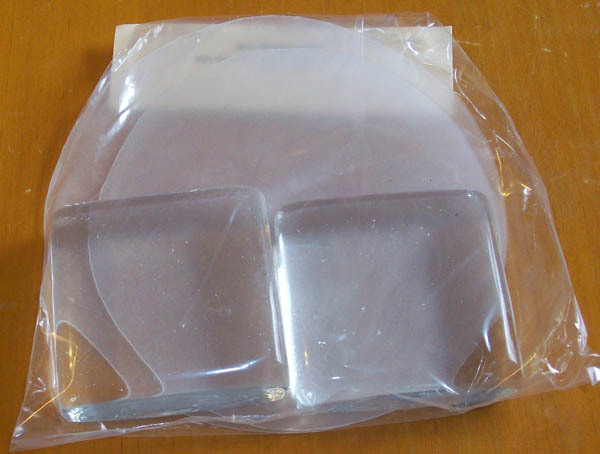 We are saving up for the equipment and supplies to manufacture our own dunkers, so we can keep the supply predictable, but in the mean time: Clear glass, but SQUARE, not round (sorry, image is not updated yet). These weights come in sets of two, because you DO need more than one to hold down heavy foods, or to hold down kraut. UNIVERSAL SIZE: 2″ across, fits BOTH Wide Mouth and Standard Mouth jars, and works in larger sizes as well (use more than one in larger containers). Solid glass food weight, holds food down under brine or juices. Available in a wide range of sizes for different jar sizes. Fermenta Dunk works best with the Fermenta Dunk extender, which holds food down closer to the edges. We include 2 free Fermenta Dunk extenders with each smaller sized Fermenta Dunk set. Wide Mouth Fermenta Dunk comes with Quart and Half Gallon size extenders. Imported. Will be manufactured in the US soon (current sales help support that endeavor). WE STILL HAVE SOME CLEARANCE LARGER WEIGHTS. Please email us about ordering larger sizes, or heavier sizes.